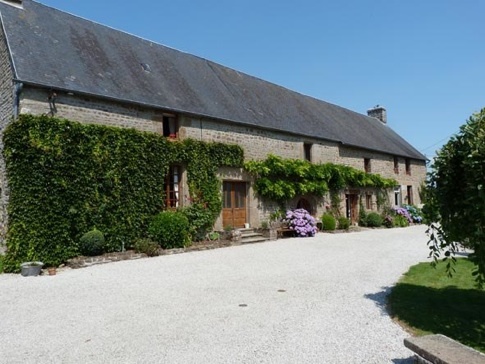 La Mancellière is a beautiful 17th century farmhouse in the picturesque Manche region of Lower Normandy, close to the borders of the Loire and Brittany. The house has been restored to a very high standard and is divided into two comfortable, self-contained gites: The Cottage and The Old Dairy. Both gites have lots of original features including a lovely wood-burning fireplace in the Cottage and chestnut floors and exposed oak beams. La Mancellière is surrounded by rolling countryside and is set amid two acres of private land. We are open all year round and we can accommodate up to 4 people in the Cottage and up to 8 people in the Old Dairy. Alternatively, both gites can be interlinked and rented as one large property for up to 12 people. La Mancellière is at the crossroads of three fantastic French regions and is the perfect place to explore historic Normandy, relax on the beaches of Brittany or indulge in the chateaux and wine regions of the Loire. 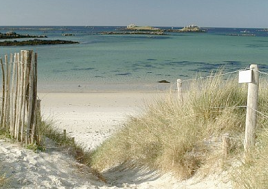 Within easy reach of the property are secluded sandy beaches, the magical island of Mont Saint Michel, pretty medieval villages and the bustling Breton capital, Rennes. We also have plenty of activities in the immediate local area including one of the largest weekly markets in Normandy, excellent fishing, horse riding and rambling with cycling routes out to the coast. But if that sounds a bit strenuous and all you want is a bit of rest and relaxation, La Mancellière is the ideal spot to kick back and stretch out in the sunshine or curl up with a book by the log fire for a snug winter’s afternoon.